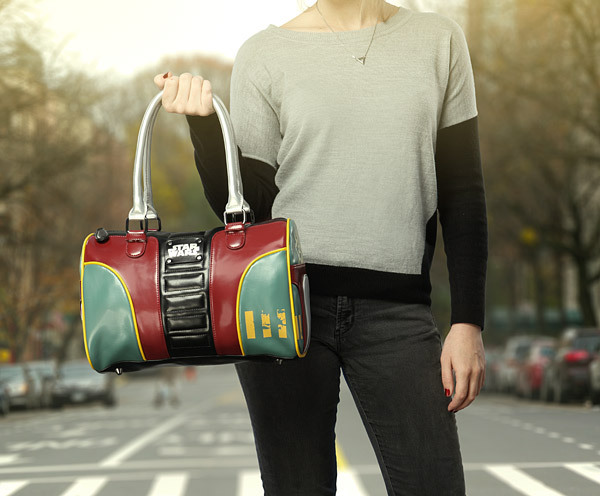 Thinkgeek has just released two new Star Wars handbags! 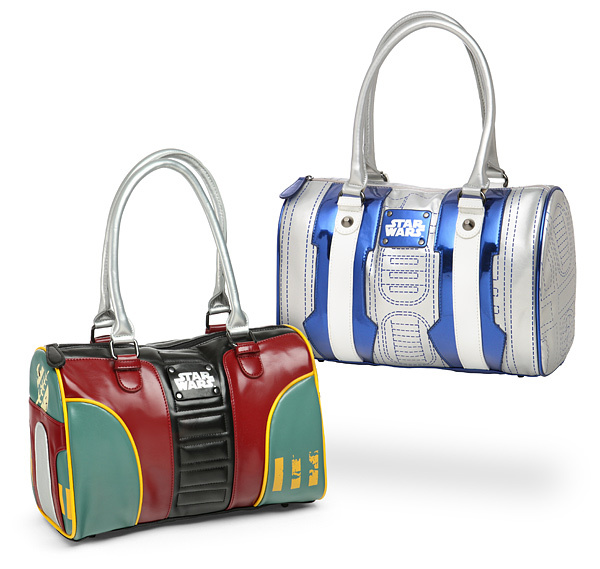 One features an R2-D2 theme, the other has a Boba Fett theme. Priced at US$49.99 each, they measure approx 9″ tall, 12 1/2″ long and 7″ deep. 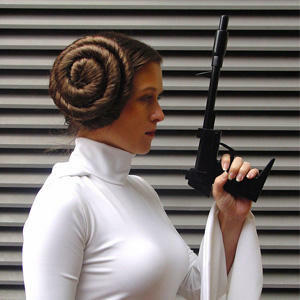 I love the styling on these, a great addition to any Star Wars fan’s wardrobe.